Even pop stars dig fashion's hottest accessory. 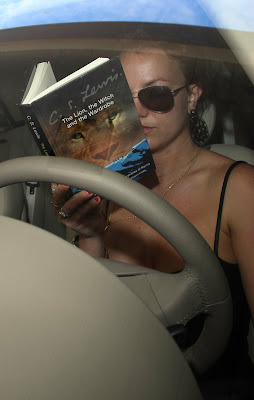 Here we have BRITNEY SPEARS reading THE LION, THE WITCH AND THE WARDROBE by C.S. Lewis--and driving?? Oh no, Britney.